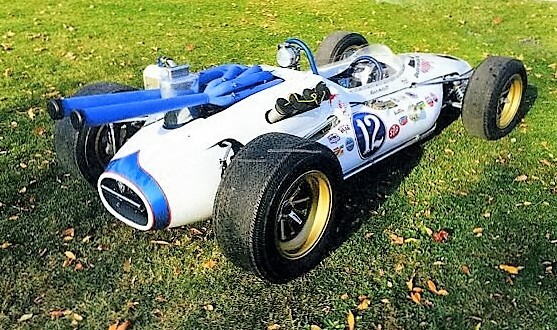 In May 1965, a young Mario Andretti joined the “rear-engine revolution” at the Indianapolis 500 when he drove a newly built Brawner Hawk Ford on the big oval. 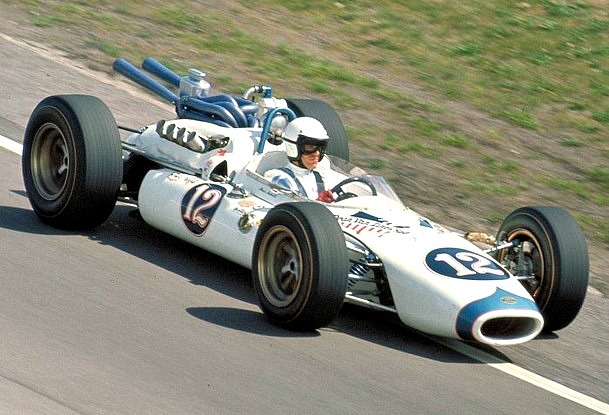 Mario Andretti drives the rear-engine Brawner Hawk at Indianapolis in 1965 | Ford Motor Co. In May 1965, a young Mario Andretti joined the “rear-engine revolution” at the Indianapolis 500 when he drove a newly built Brawner Hawk Ford on the big oval, showing the racing world the way of the future as he took third place and was awarded the title of Indy 500 Rookie of the Year. 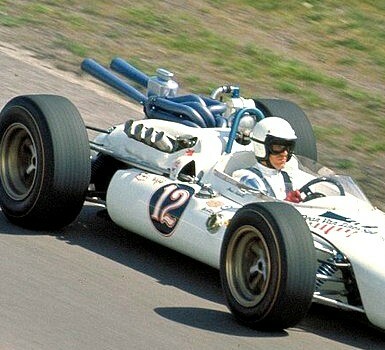 The Brawner Hawk helped launch Andretti’s magical career: he won the USAC national championship in 1965 with that car, and won it again in 1966, finishing first in an impressive 66 percent of the season’s races on road courses and paved ovals. The historic Indy racer will debut at the Amelia Island Concours d’Elegance in Florida on March 13 after restoration by NASCAR crew chief Ray Everham. The intensive refurbishing, done under the leadership of famed Indy crew chief Jim McGee – who helped create the car more than four decades ago – has brought the Hawk back to how it was at Indy in 1965. The Hawk was built by legendary Indy car constructor Clint Brawner, inspired after watching Jim Clark’s rear-engine Lotus Ford nearly win the 1963 Indy 500 and sit on the pole for the 1964 race. He could see that the days of the classic front-engine roadster were about done. Brawner and McGee used a crashed Brabham BT12 “funny car” – as the rear-engine racers were dubbed by Indy roadster veterans – borrowed from Jack Brabham as a template to build their own rear-engine racer. They made some key changes and structural improvements, and mounted a Ford DOHC V8 in the space behind the driver. With Andretti at the wheel, the superior balance of the mid-engine design proved decisive, and Indy competitors gradually shelved their classic front-engine race cars in favor of the new design, which still rules today. For information about the Amelia Island Concours, visit the event website.